Ibrahim, ‘Untitled’, 2018, acrylic, pencil on canvas, 200 x 200cm. Image courtesy of the artist and Gajah Gallery. Ibrahim’s arrangement and juxtaposition of every stroke, line, unresolved shape or unfixed contour is an exploration, and a means to achieve the painting’s final composition. His artworks evoke his “dark narratives”, speaking of his pursuit not only to fill the void, but to flourish within it. Rooted in abstract expressionism, Ibrahim’s practice is founded on an acute awareness of emotions. Ibrahim places no restrictions on the colours of his palette; tinges of neon, creating depth in the painting when juxtaposed against his muted tones. 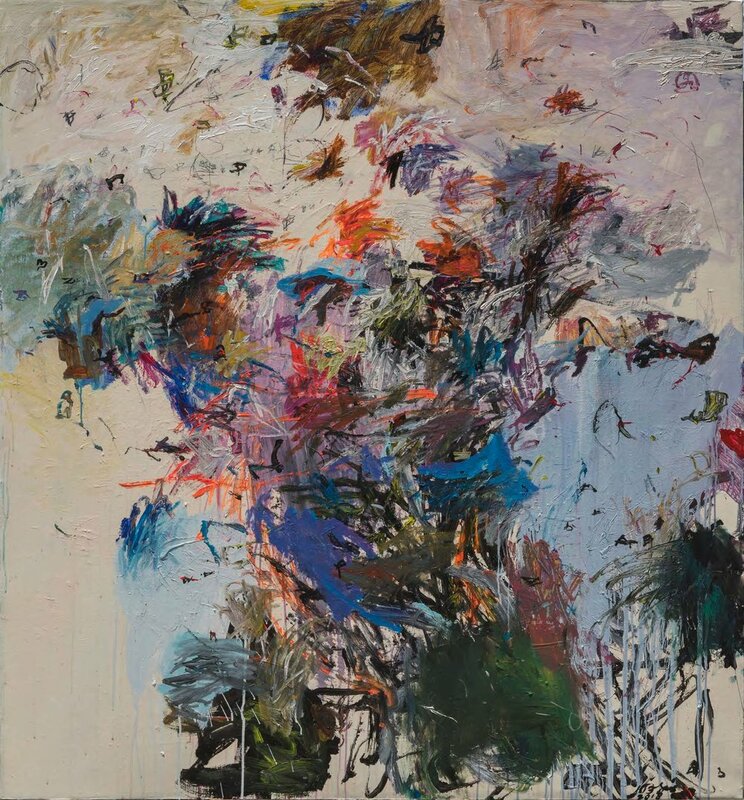 His method of painting serves an autobiographical exploration of the inner turbulence he felt, moving from the boisterous art scene in Java back to his hometown in West Sumatra to teach at the Institut Seni Indonesia (ISI)—Padang Panjang. ‘Flourishing Within The Void’ at Gajah Gallery Yogyakarta’s is Ibrahim’s first solo exhibition since showing at Gallery Semarang in 2008, and presents both old and new works. It opened on 22 November and will run through 10 December, with works priced from SGD800 to SGD9,600. Ibrahim, Untitled, 2018, acrylic, pencil, spidol, pen on canvas, 161 x 151cm. Image courtesy of the artist and Gajah Gallery.